I know how hard it is to eat well when you're always on the go. 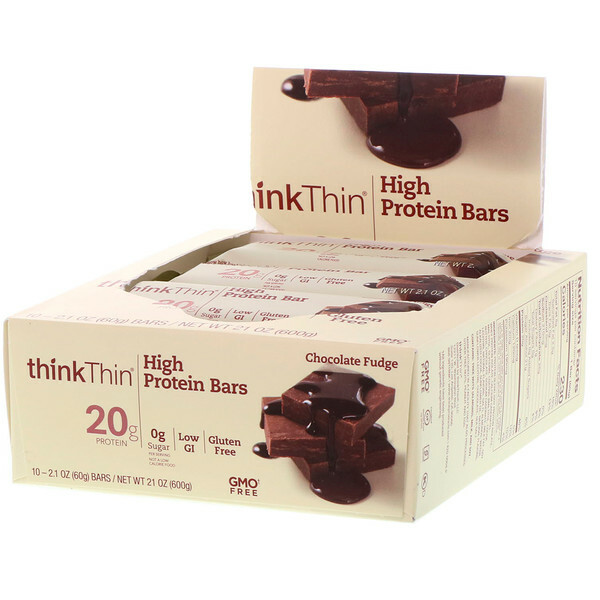 That's why I created thinkThin High Protein Bars, loaded with 20 g of hunger-fighting protein and no gluten or sugars. 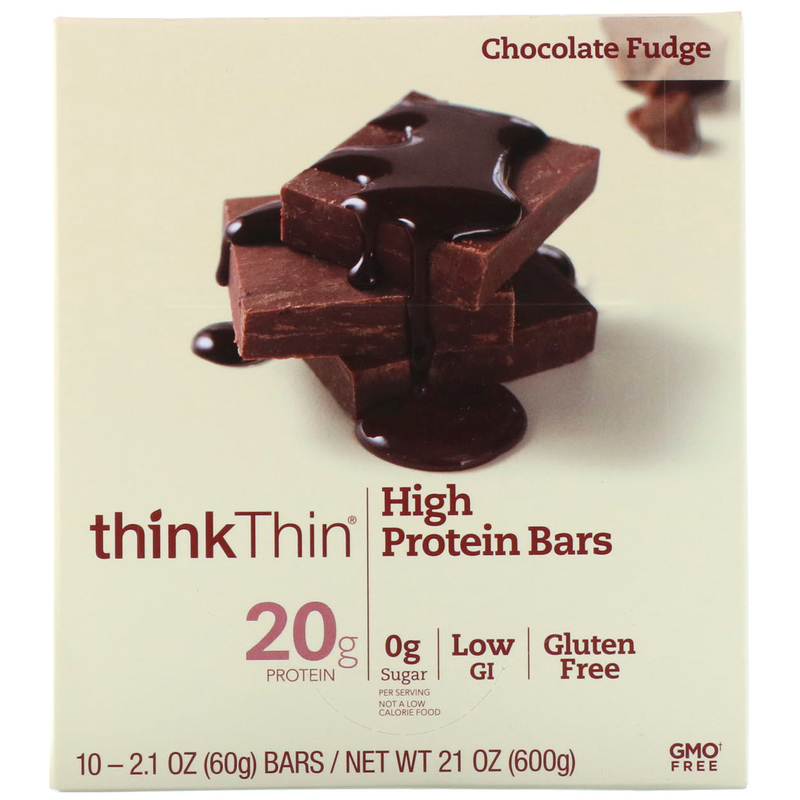 Every bite of my Chocolate Fudge bar is packed with the rich, indulgent flavor of creamy, decadent fudge. 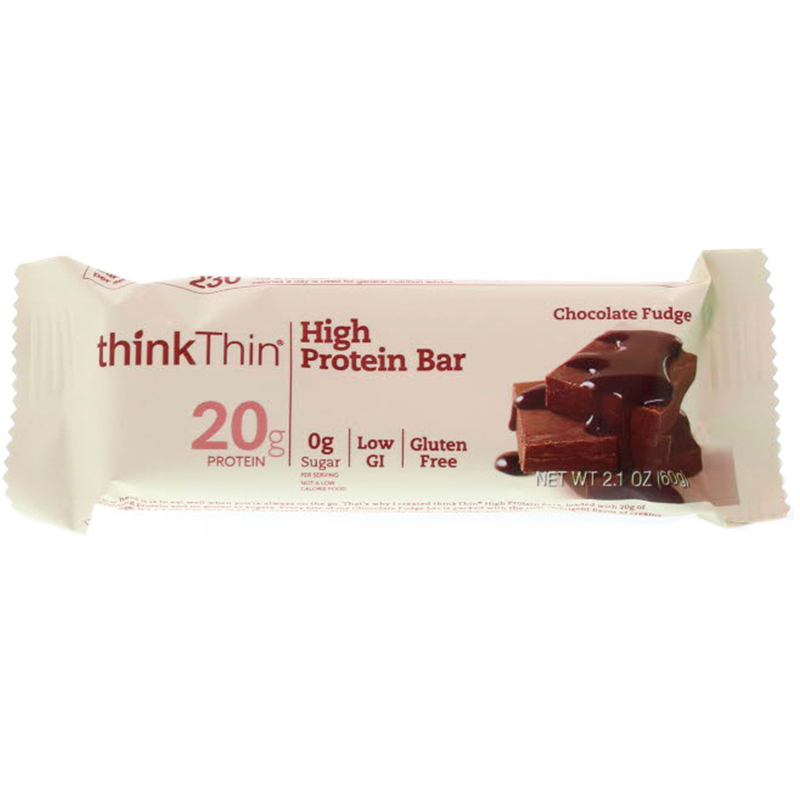 It's a guilt-free way to get the energy and nutrition your body needs-anytime, anywhere. 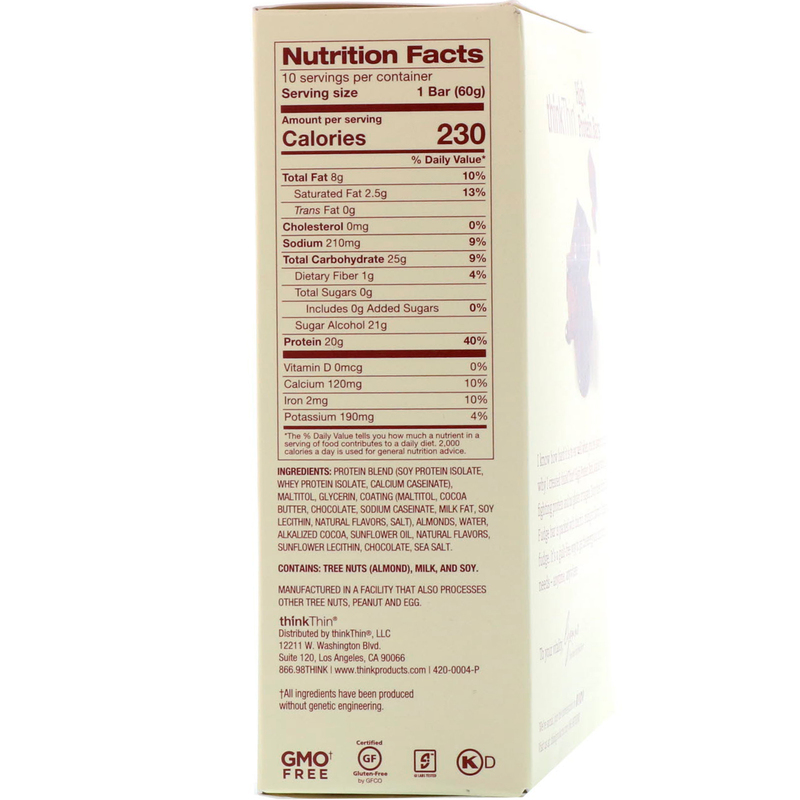 Protein blend (soy protein isolate, whey protein isolate, calcium caseinate), maltitol, glycerin, coating (maltitol, cocoa butter, chocolate, sodium caseinate, milk fat, soy lecithin, natural flavors, salt), almonds, water, alkalized cocoa, sunflower oil, natural flavors, sunflower lecithin, chocolate, sea salt.